Cochin University of Science and Technology offers LLM, MCA, LLB, M.Sc., B.Tech, PH.D, B.Com, M.A. and many other courses. Candidates, who want to appear, have to give Common Admission Test (CAT) for admission in respective courses. Candidates who will be appearing in the entrance exam must know about syllabus, pattern and questions regarding the same. 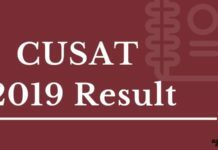 Therefore you are advised to go through the CUSAT CAT papers and practise accordingly. 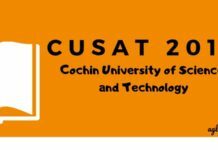 CUSAT CAT 2012 Question Papers are given below. 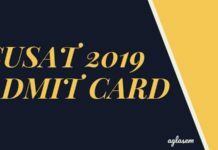 CUSAT 2019 Admit Card (Available) – Download Here!